Back in April, we brought you the news of a new Transformers trademark. 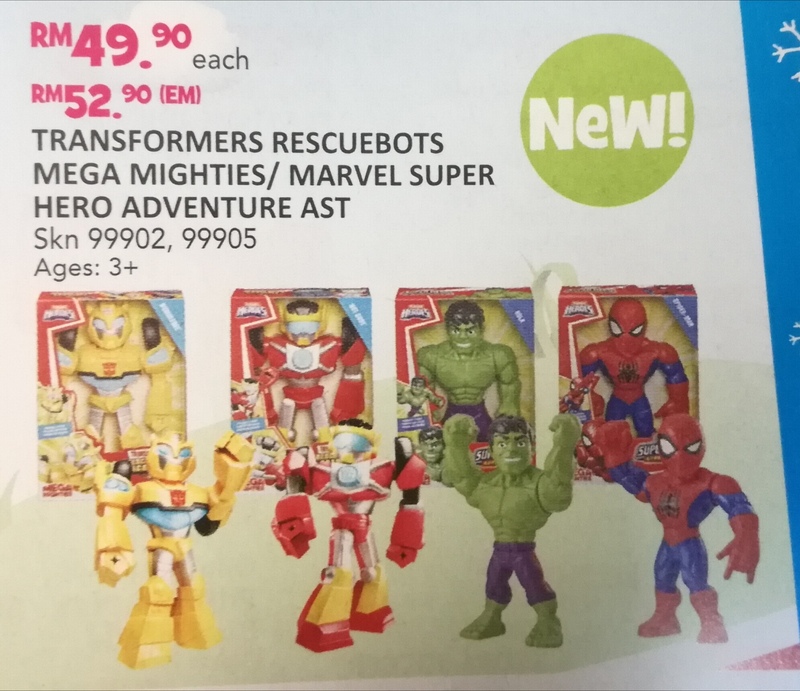 Thanks to the latest issue of the Toys”R”Us (Malaysia) catalog, we are treated with our first look at*Transformers: Mega Mighties. From the looks, Mega Mighties seems to be super-deformed, non-transforming action figures with limited articulation similar to the Titan Heroes/Guardians toyline. Aimed at preschoolers, the line features Bumblebee and Hot Shot from the upcoming animated series Rescue Bots Academy. Additionally, line doesn’t seems to be catering only to the Transformers franchise. With the same image, we can see Marvel action figures in the same assortment as &#187; Continue Reading. The post First Look At Transformers: Mega Mighties appeared first on Transformer World 2005 - TFW2005.COM.